Michael Schmicker draws on all his gifts as a journalist, student of the paranormal, and storyteller to make The Witch of Napoli—a novel about a nineteenth-century Italian medium named Alessandra Poverelli—captivating and compelling. I read it quickly, in three nights, and then started to read it again, savoring the story—and admiring Schmicker’s skill—more the second time. Goodreads has some of the informal reviews I've written. On my page are opinions of books on technology, such as The Shallows: What the Internet Is Doing to Our Brains, Alone Together: Why We Expect More from Technology and Less from Each Other, and Data and Goliath; the Millennium trilogy by Stieg Larsson and the sequels by David Lagercrantz; the Miss Peregrine trilogy; books on sociology and psychology, such as Liespotting, Awkward, and The Sociopath Next Door; and fiction and nonfiction books about the paranormal, such as The Charm Buyers and A Haunted Love Story. Most of these were bought at the Barnes & Noble store at Ala Moana Center, of which I am a loyal member. The Man Who Died En Route (University of Massachusetts Press, 1989) by Nell Altizer, reviewed in the fall 1990 issue. Sister Stew: Fiction and Poetry by Women (Bamboo Ridge Press, 1991), edited by Juliet Kono and Cathy Song, reviewed in the winter 1993 issue. 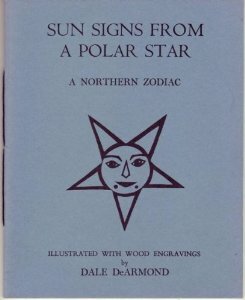 Sun Signs from a Polar Star (Old Harbor Press, 1993) by Dale de Armond, reviewed in the summer 1994 issue. Desert Skin (University of Utah Press, 1995) by Thomas Miller, reviewed in the winter 1996 issue.